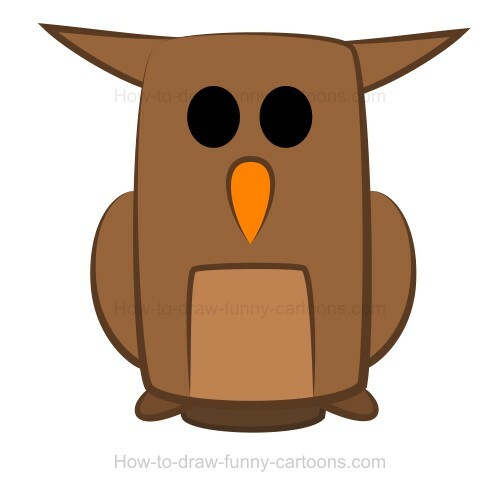 Drawing an owl. That's the goal of this easy step-by-step tutorial that you are invited to try today. 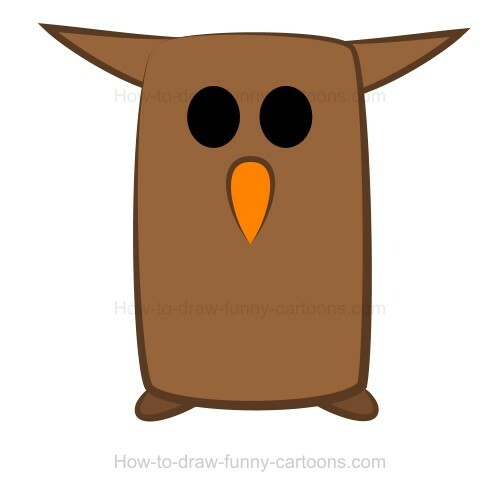 You will learn how to draw a simple version of this adorable animal using simple shapes and a few lines. Let's start this lesson with the creation of a large rectangular shape to illustrate the body. As you can see above, corners are round and the line is thick on the bottom and narrower on top. I like this effect. It's less boring than a regular line with a regular width. Next, you can draw the eyes using two large black dots. 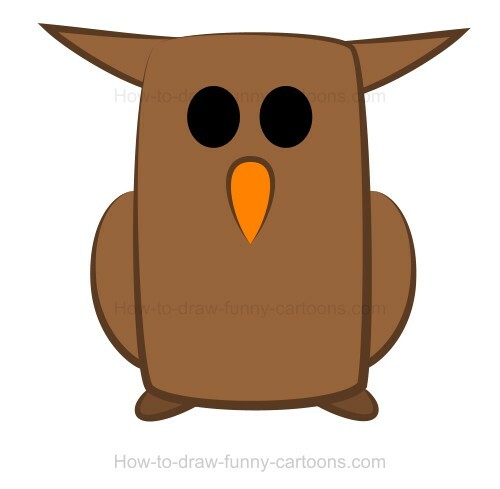 Unlike other animals from the same series, this owl must have larger eyes. I won't add anything around it (like patches) because I prefer the simplicity of this particular design. 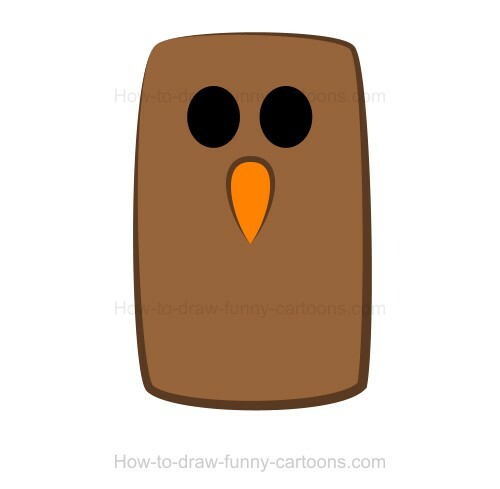 You can also draw a small beak using an orange triangle made from a long curved line. Don't draw a large beak! This one must be small and placed slightly below the eyes. Owls are easy to recognize because they have large eyes, but also because they have long ears (or feathers that look like ears!). These shapes must be long and pointed on both ends. Use two small circles to illustrate the feet on the bottom of the body. 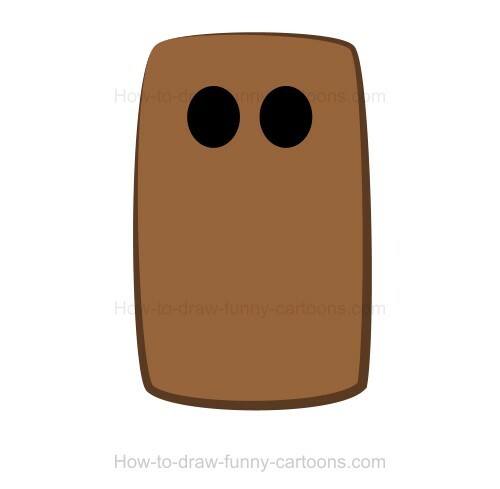 They can be round and darker than the color used to fill the body. 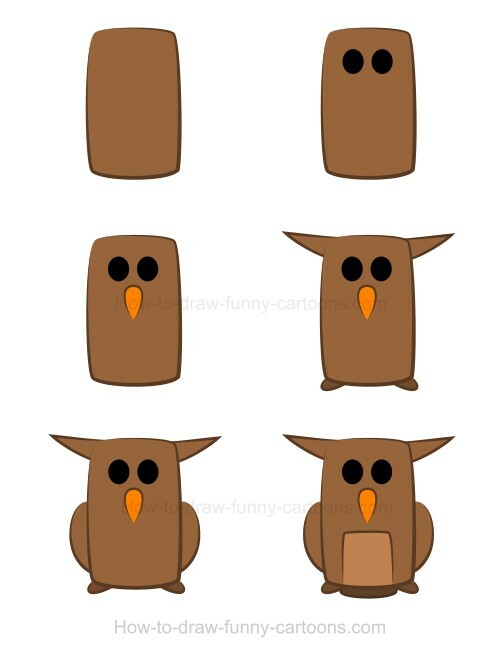 Finally, you can sketch a light patch on the stomach of the owl. 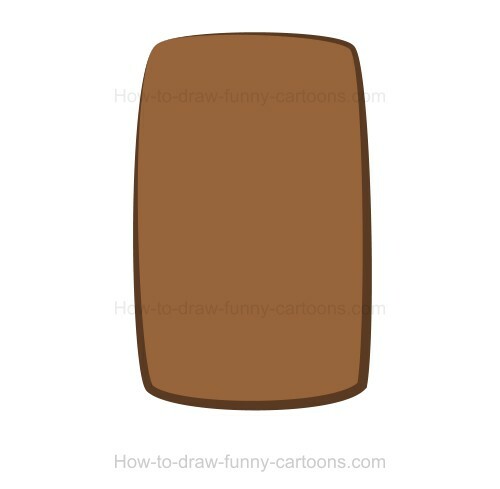 I decided to draw a rectangular patch, but you can draw a circular one if you prefer. On the bottom of the character, a small tail is visible. That's it! Above you can see a preview of all steps required for drawing an owl. It's really a simple tutorial that you should achieve easily if you are committed to learning how to draw fun animals. Don't hesitate to draw more characters from the same series and enjoy!